We will help you with everything we can. 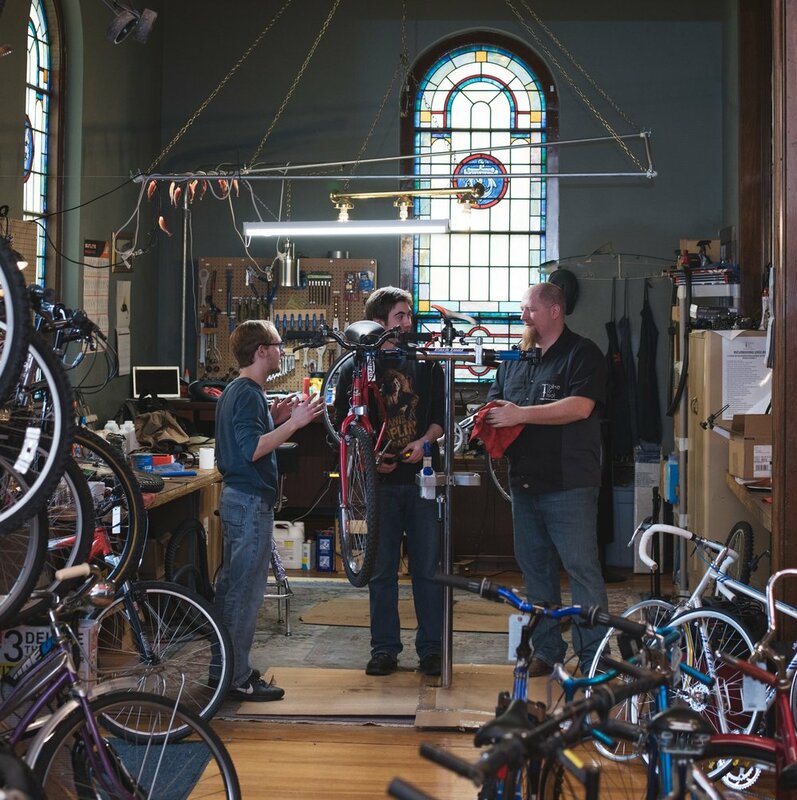 Here are some major ways we work with our bicycle community. Your bicycle needs to ride smoothly. You want it to shift, brake, and feel right. We have the tools and over 50 years of technical expertise on staff. Our folks will fix what you have…or find out who can! From tune-ups to tire changes we will handle what you need. We take middle and high school aged students and teach them to work. Mechanics, sales, inventory control, online marketing and more is what we do with our students. They will learn the soft skills needed to succeed in the work environment. Whether it’s our 12 session Earn A Bike program or a more precise mentoring need we have the ability to offer a work development program suitable for every student. Every person wants their bicycle to do what you need it to do. We have equipment in stock…and we can order whatever you need. Just give us a call and we will be there for you. We always want to find what you need.